I’ll get to all the exciting stuff in 529 Plans in a minute, but first I’d like to reflect on Memorial Day weekend. There’s a lot going on in our country (assuming you are reading this in the US) and it’s helpful to pause and reflect on the good things and those who fought for those good things. It’s because of those brave people that I can experience stupid, insignificant problems like spending hours at IKEA to find that they were out of stock of everything I wanted. It seems like a big deal at the time. Now let’s get back to the wonderfulness of 529 plans. Eleven years ago, I was looking for some way that I could help get my newborn nephew started on the right financial foot. I didn’t have a ton of money, but I had time. Given that he didn’t have object permanence yet, I had years. If I had the chance, I might have opened up a retirement account for him. However, it seems that I’m the only one crazy enough to think of tax breaks on such things. Until I started have kids of my own, I put a few dollars in there for birthdays and Christmas. Now, 11 years later, it’s grown fairly nicely. A lot of that is due to the great run of the bull market. It might end up being enough to cover 1/3rd of a year of tuition by the time he gets to college. It should make a very noticeable difference for him, but I barely even noticed the money was gone. I feel there are very few “no-brainer” decisions in the world, but this is one of them. 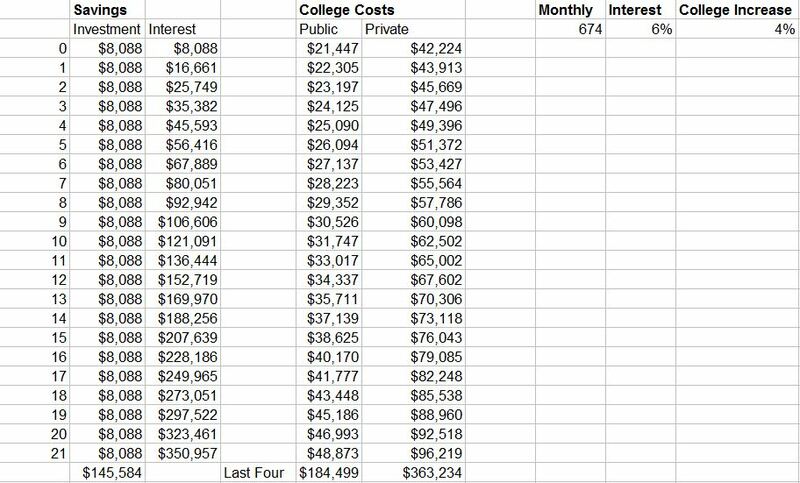 Friends, I'm the worst PF person/mother: We still haven't opened a 529 (or other college savings) for our daughter. Help! Please send your advice/recommendations so I can get this figured out! I should have probably sent my guide on How to choose a 529 Plan, but I figured that’s actually the easy part. I just gave it a Google search and there are several high quality sources there. Instead, I shared something extremely interesting that my state, Rhode Island, does. It gives you $100 grant if you sign up when your baby is born. It’s the opposite of the old Monopoly Community Chest card where you pay the $100 for a baby. Rhode Island gives a $100 grant if you sign up for a 529 Plan when your baby is born. Looks like we are up to a $75 in free money for @StephTheBlogger to set up a 529 plan in the next 3 days. At this rate, we'll have tuition for any school covered in by tomorrow afternoon. :-). The plan worked! Baby Stephanie has a 529 Plan. With my 4x rule above, we can expect the $75 to grow to around $300, which isn’t even a drop in the grand scheme of college savings. However, Stephanie is going to start monthly contributions. Baby Stephanie should be the beneficiary of years of compound interest. I’ll be the first to admit that I loved how this worked out. I often need a kick in the pants to do what seems like a small, insignificant thing. Now, I just have to figure out how to draw on this experience to motivate myself. 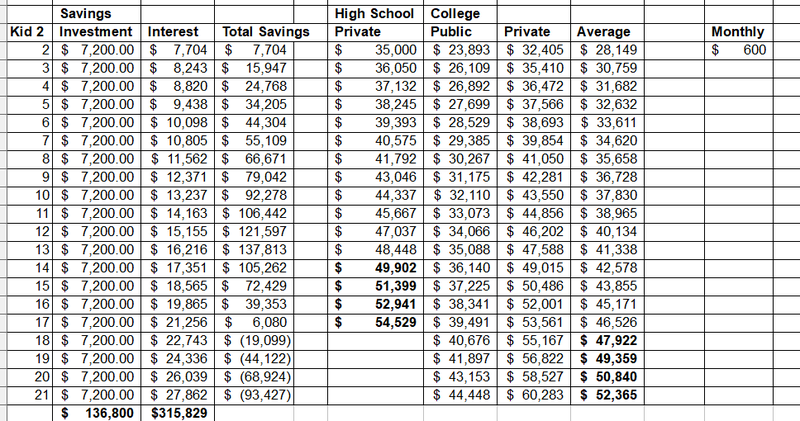 Rhode Island’s New CollegeBound Saver is Great! Editor’s Note: While I usually try to write for a national audience, today’s topic is more fitting for residents of my state, Rhode Island. However if you stick around until the end, you might have a chance at some free money. It’s good to be back to work after a week’s vacation. We just got back from a trip that was very similar to last year’s when we traveled from Rhode Island to kids’ parks in New Jersey and Pennsylvania. Last year the stops included: Sesame Place, Hershey Park, Please Touch Museum, and the Crayola Experience. This year we kept Hershey and Please Touch on the itinerary. We substituted out Sesame Place and Crayola for Diggerland and Knoebel’s Theme Park. This article isn’t about my vacation, but I do want to mention a couple of quick things. We should have waited until our boys were 5-7 for Diggerland as they weren’t tall enough to do much. Knoebel’s was much better than I anticipated, but we got a really hot day and it was last on the trip, so we couldn’t really give it the fair shake it deserved. When we got home yesterday, I noticed that the mail contained the new program description of CollegeBound Saver, Rhode Island’s 529 plan. Rhode Island decided to change the management group of the 529 plan from CollegeBound Fund by AllianceBernstein to the new “Saver” by Ascensus. We were finally getting details about what the new program was about. I knew much of the program wouldn’t change. There are laws in place that govern the general details of the state’s 529 plan. My biggest concern was that we’d have to leave the sweet, sweet, low expenses of the Vanguard funds at AllianceBernstein. I’m a skeptic by nature and figured that because we were being thrust into this new system with no vote that it wouldn’t be good. I found the CollegeBound Saver program description a little confusing. I think it was because it was designed to introduce people who are new to 529 plans and saving for college in general. The book is 80 pages long with some information about unrelated programs like Coverdells. The “meat” of what I was interested in was the investing options. The new CollegeBound Saver program has three core “goals” which are each broken down into smaller investing options. There are target date portfolios, target risk portfolios, and individual portfolios. I can target 2030, an aggressive mix, or just choose the funds that I want. I like to choose my funds, so that’s the option I focused on. The CollgeBound Saver individual portfolios have names like “U.S. Stock Portfolio” and “Bond Portfolio.” These are mapped to underlying funds such as Vanguard’s Total Stock Market Index Fund and Vanguard’s Total Bond Market Index. It took a little digging, but I finally found what I was looking for. My assets were moved from my previous Vanguard Total Stock Index funds to the new Vanguard Total Market Index. I’m investing in the same thing! The big change is that the expenses are estimated to be 0.04% which is the lowest I recall seeing outside of my wife’s Thrift Savings Plan. The book includes a chart of hypothetical $10,000 investment cost chart. 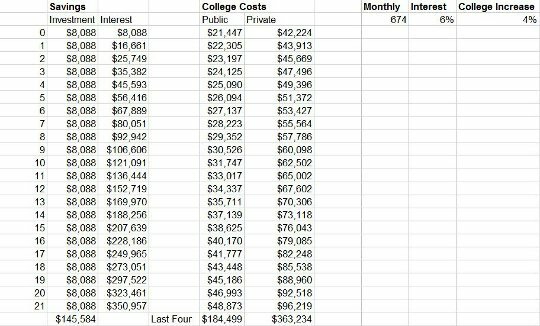 The easy math shows that I’ll be spending a whopping $4 a year in management costs a year. In 10 years, it will be $51 total. The other investment options are also very low for the most part. Years of reading personal finance magazine have drilled the following in my head: Control expenses, because you can’t control the market and expenses add up over time. The new 529 plan has two funds with expenses over 0.16%: a 0.37% stable value option and a 0.61% Invesco Global Sustainable Equity option. As long as investors steer clear of those, the expenses mean almost nothing over the 15 years (give or take) that the money is going to be invested. Now for that chance at free money. Later on this week, I’m going to be sending out my VIP email newsletter. It’s free to join (of course). You can join it here. Readers of the newsletter will have a chance to win $25 (payable in Paypal or Amazon gift card, I haven’t decided yet). I know it isn’t life-changing money, but I will easy for even the laziest of people. 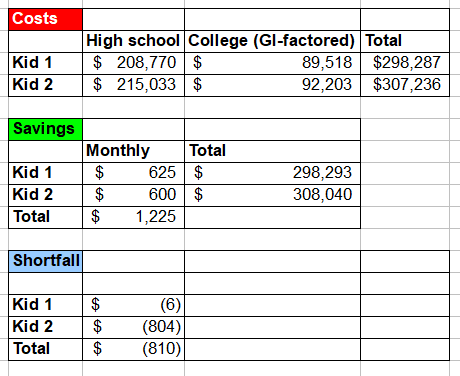 Several times in the last year (or longer) I have written about Ohio’s CollegeAdvantage 529 Plan and their gift of free money. It seems like they are always giving away free money. If you missed the last opportunity, now you have the chance for $50 in free money again. Ten years from now, I see one of two things happening… either Ohio’s CollegeAdvantage 529 Plan is going to rule the 529 Plan World (at least for those states that don’t give tax breaks) or it’s going to need some rescuing from giving away all this free money. I’m betting on the former. Why? Well people tend to keep their 529 plans for a long, long time. They also tend to put a lot of money in them (as college is expensive). The combination leads to some significant gains for the financial institution. 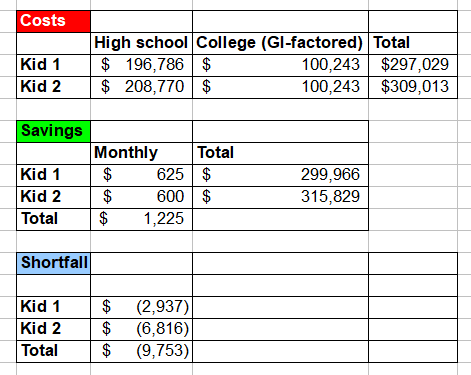 However, it is worth noting that CollegeAdvantage has some of the best low-expense Vanguard funds to choose from. In fact, before CollegeAdvantage had this program, I had written about my own adventures in choosing a 529 plan, I realized that CollegeAdvantage was the best option for me. Go to Ohio’s CollegeAdvantage and open an account before June 30, 2010. When asked for a referral code use 2481398 to receive the bonus. You should receive your $50 $25 bonus in 7-10 business days. Updated to reflect that it is a $25 bonus. If you want, you can then use your account to refer a spouse and pick up even more free money. Some people may avoid this because they have no children now – and no plans to have children. My wife and I have no children. I’m taking advantage (pun intended) of the program for either a future child, my niece or nephew… or possibly even myself or my wife when we retire. Go to Ohio’s CollegeAdvantage and open an account before December 15th. Note: They allow themselves the ability to end the program at any time, so I would act NOW. Since I already accounts in my niece and nephews name, I signed up last time and just made myself the beneficiary. I was too Lazy to sign up get my wife to sign up. This is a good time to take right that wrong. I love when a great product offers a great deal. That’s quite a rare find. However, it gets even better! If you set a recurring monthly electronic transfer before January 31st, they’ll give you another $25 bonus – $50 in total free money. You just have to make sure that you transfer $25 a month, have a minimum of 3 transfers in a 90 day period, and still have the transfer active after the 90 days. So the way I read it, you could spend $75 to get $25 free. That’s a nice 33% return on your investment.